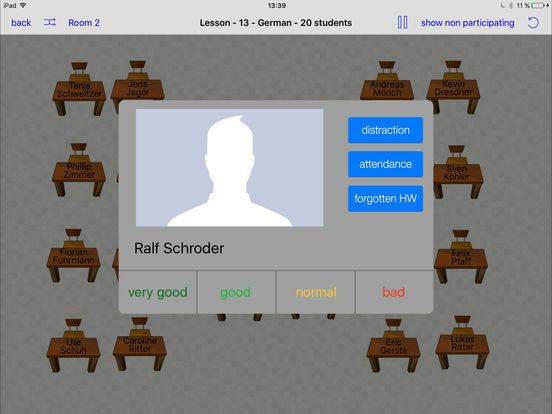 Organize your students in a flexible seating plan and take quick notes on their individual perfomances in class with just a few taps. 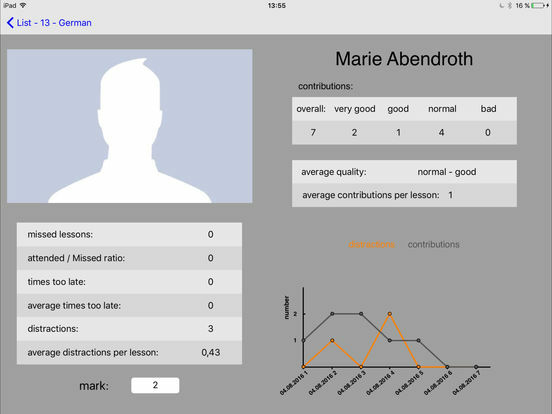 iSeatplan presents this information in clear graphs so that you are able to keep track of every student's development over the term and create a better basis for the grading of your students. 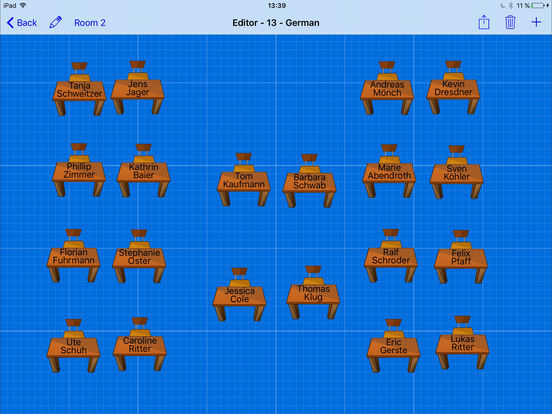 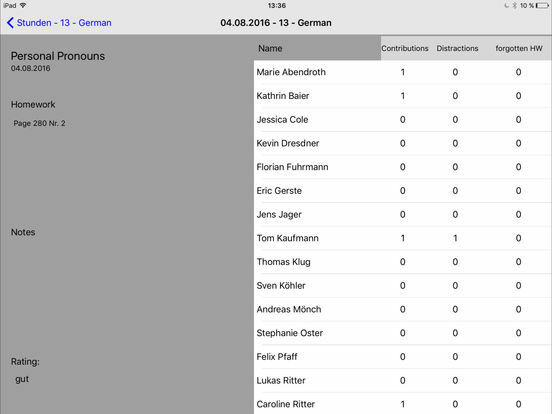 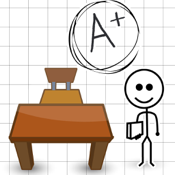 - learn your student's names with the "Namegame"